The foremost target of any business is the high lead conversion. For a grand success in business, a website is the best marketing tool. And more importantly, the landing page is an integral component of marketing. The landing page is the lead capture page specialized for a specific product and target. It is designed to cut off the distraction. The homepage contains lots of links and information that confuse audience what to focus on. But a landing page is targeted for just a product or service, including every small information that a visitor wants to know about it. 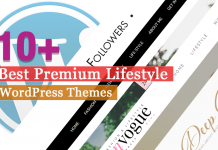 There are thousands of premium and free WordPress themes and templates designed for various niches. Likewise, for creating a landing page also, you should switch to a particular landing page theme. Landing page theme has its own attributes which can’t be met by other themes. Before creating a landing page to promote your valuable products, you must know what are the essentials of a high converting landing page. Basically, video, audio, images, description and effective call to action are the primary elements to engage your visitors more and generate the leads. 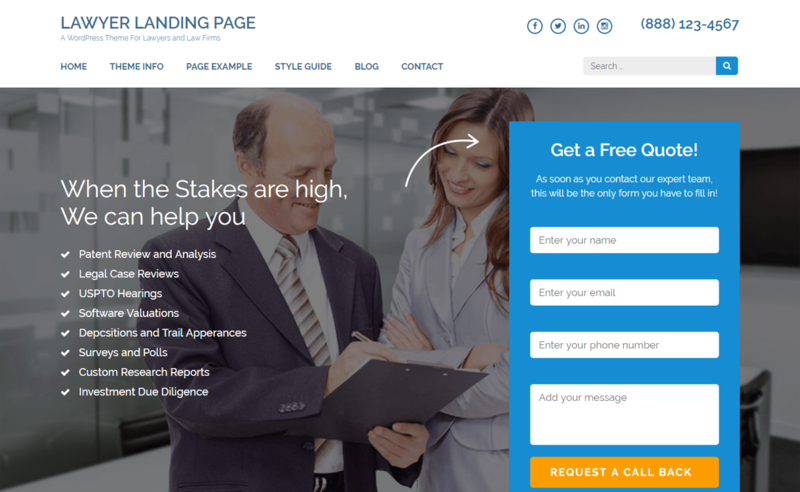 So, choosing a quality landing page theme is the crucial point. Here we have made the collection of the best WordPress themes crafted for creating a successful landing page. All these themes are carefully handpicked focusing the features required for lead capture campaign. Even being a free product, it doesn’t lack any functionalities instead provides plenty of powerful features and intuitive interface. 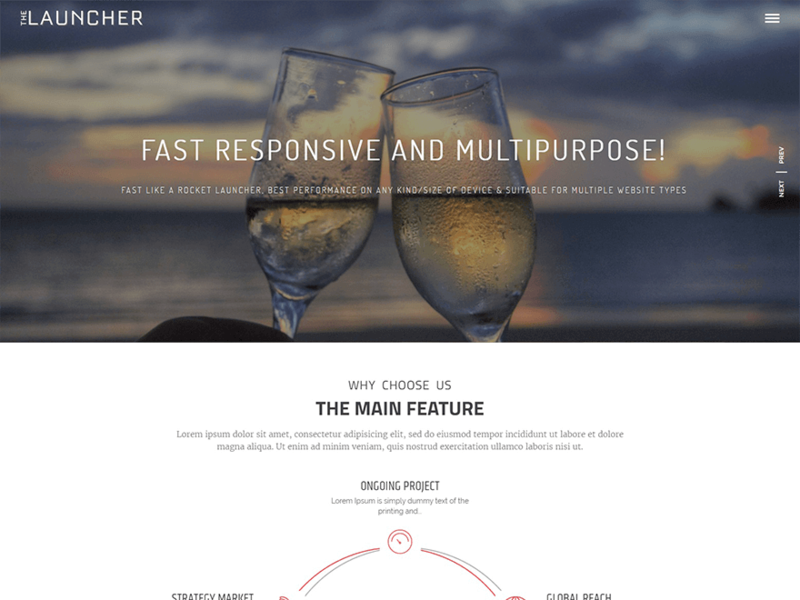 The Launcher is a responsive free WordPress landing page theme designed to launch your latest product in the market. It is packed with elegant design and tons of powerful features to let you create a winning landing page. 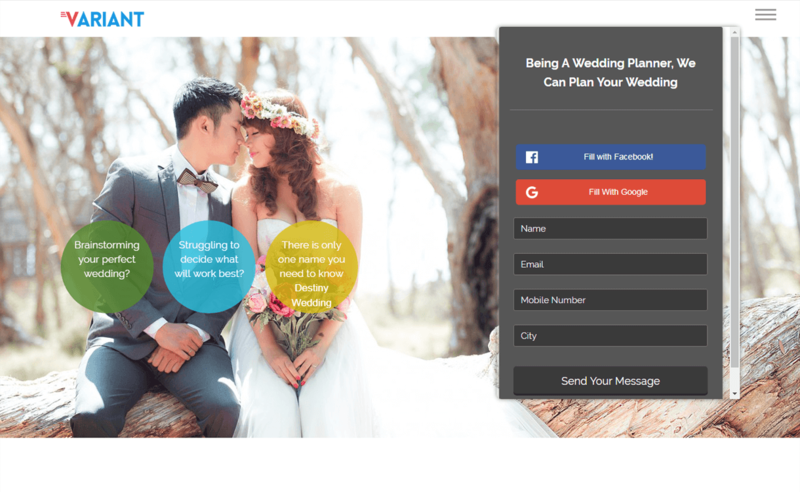 Subscription forms with full-screen slider backgrounds will help you collect user data, add more subscribers and attractive Call To Action (CTA) buttons are sure to convert into higher leads.The Theme features sticky menu, services section, video section, featured post, blog, client section, pricing table etc. 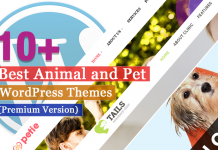 It is based on WordPress Live Customizer – customize the complete theme with live previews. 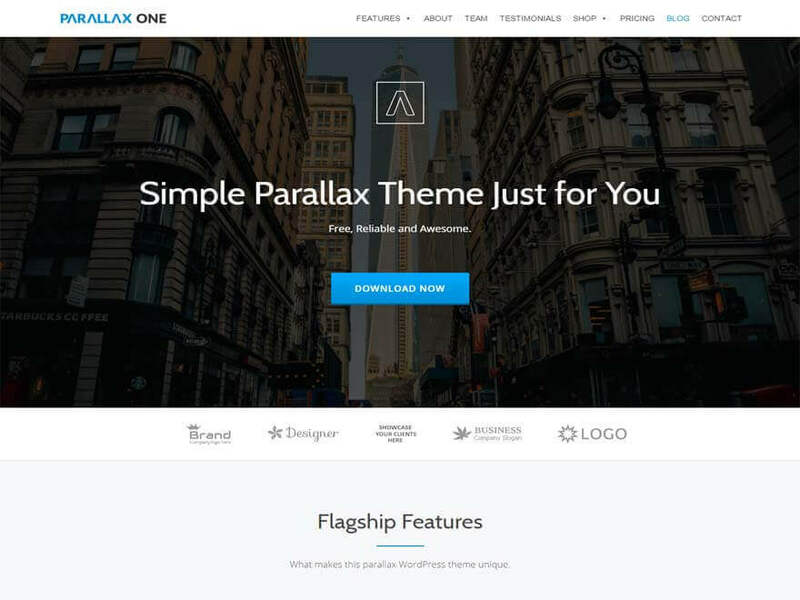 Parallax One theme is a free landing page theme for WordPress. It is designed with a lot of creativity using the stunning parallax effect and latest design trends. Full-screen animated image background with CTA at the beginning of the page seems a great option for lead generating landing pages. Besides, it offers beautiful ways to add about section with content and image, our team and testimonial section. It lets you add pages for a shop, pricing, blog and contact sections. The theme is fully responsive so that your site content is sure to look well fit on any device. 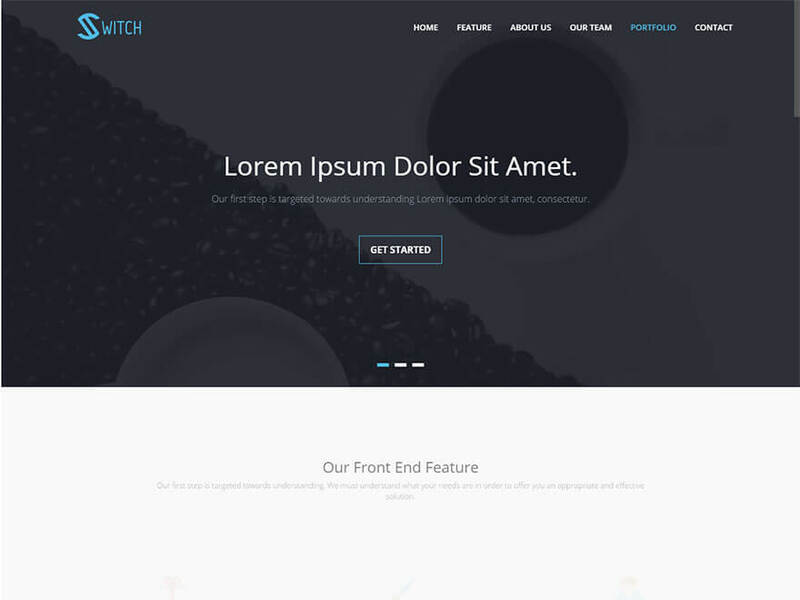 Switch is a free one page WordPress theme loaded with tons of powerful features. The theme is so neatly designed to meet every necessity of business or corporate websites. It is a fully responsive theme that automatically fits any screen size and functions smoothly via any platform and browsers. It is integrated with the best ever revolution slider plugin which let your present your key contents in a super elegant way. 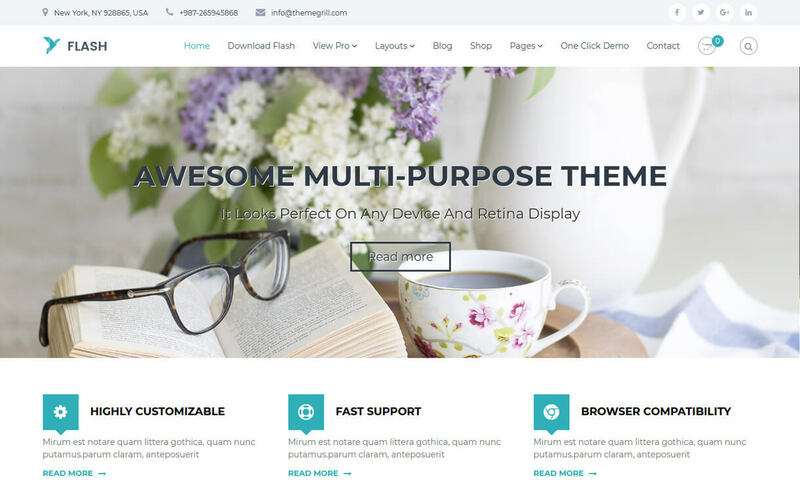 This user-friendly theme attributes flexible layout with countless possibilities. It is fully based on latest trending technologies that offer extreme advantages. 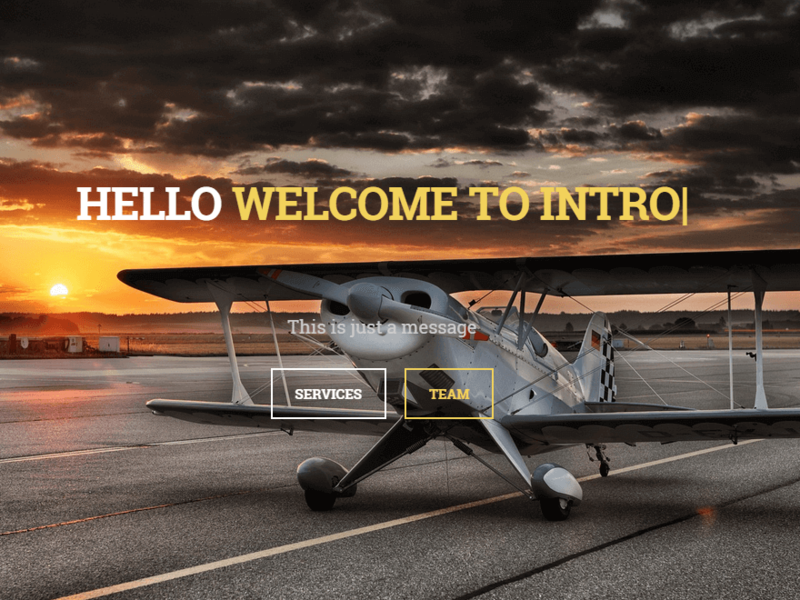 Intro is a free WordPress Landing page theme carefully crafted for all size business niches. The theme features a powerful call to action section with the fullscreen background image on the top, followed by about section, our services, team, portfolio, latest posts etc. It is easy to use and beginner-friendly – no coding is required to customize the theme. This fully responsive theme that functions well on all screen size ranging from desktop to mobiles. 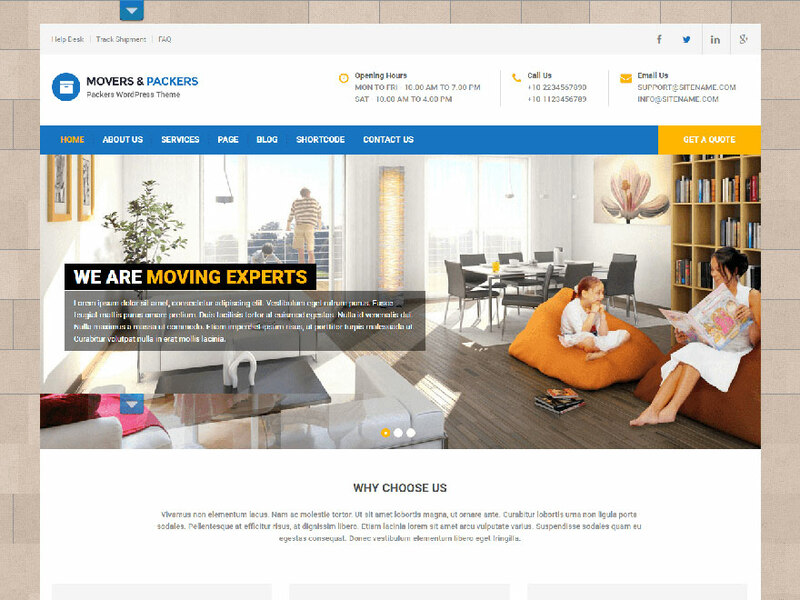 Movers and Packers is a quality free WordPress landing page theme. The theme is based on easy Customizer tools that allow you to control and manage its every element. This lightweight theme is optimized for fast loading speed in order to give you the best user experience and usability. It is well tested with the latest WordPress version. It is a full fledged theme that automatically adapts any devices ranging from desktop to mobiles. Also, it is Google friendly as it follows the best SEO practices and web standards. 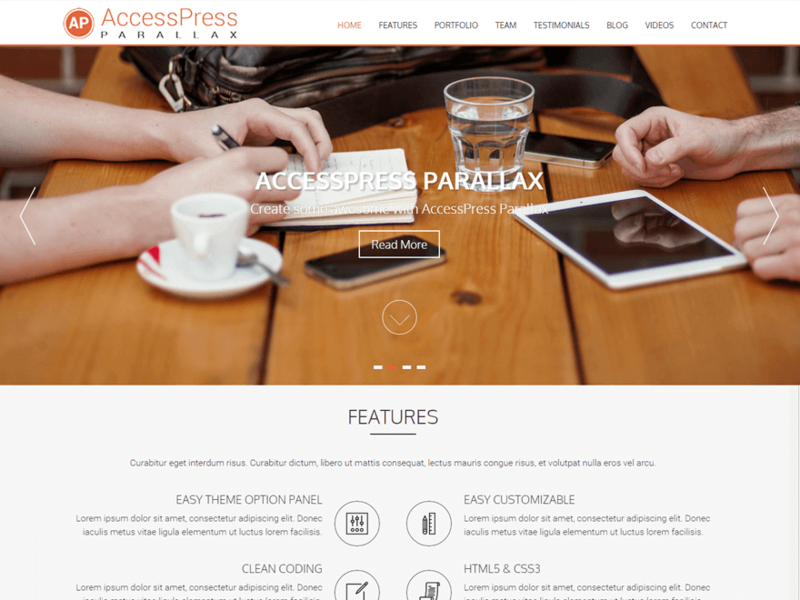 AccessPress Parallax is an awesome free WordPress theme with one-page parallax scrolling design. The theme is built in with an advanced theme options panel, fullscreen sliders, floating vertical social media icons, and beautiful sections to present your product gorgeously. The theme features parallax background with a sticky menu, features section, portfolio in gallery style, team section, testimonial and blog section. Additionally, the theme is integrated with a wonderful WooCommerce plugin – sell your products online. You can convince people to take action using this theme. 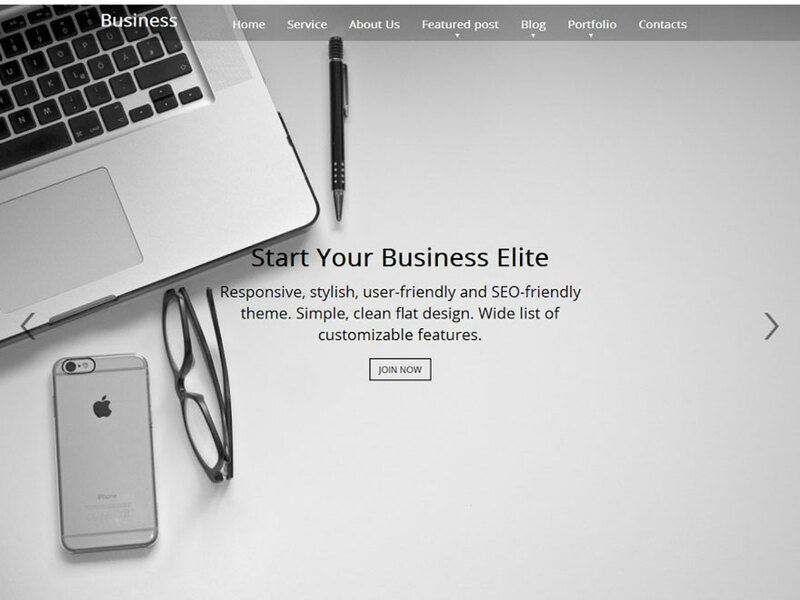 Business Elite is a free landing page WordPress theme designed specifically for business services and corporate firms. The theme uses page scroll and parallax technology to make your website look modern. Integrated with some powerful WordPress plugins like JetPack, Contact Form 7, Photo Gallery etc., it provides you plenty of options to add the features you want in a site. It is fully responsive and retina ready – looks brilliant on all types and quality of display screens. 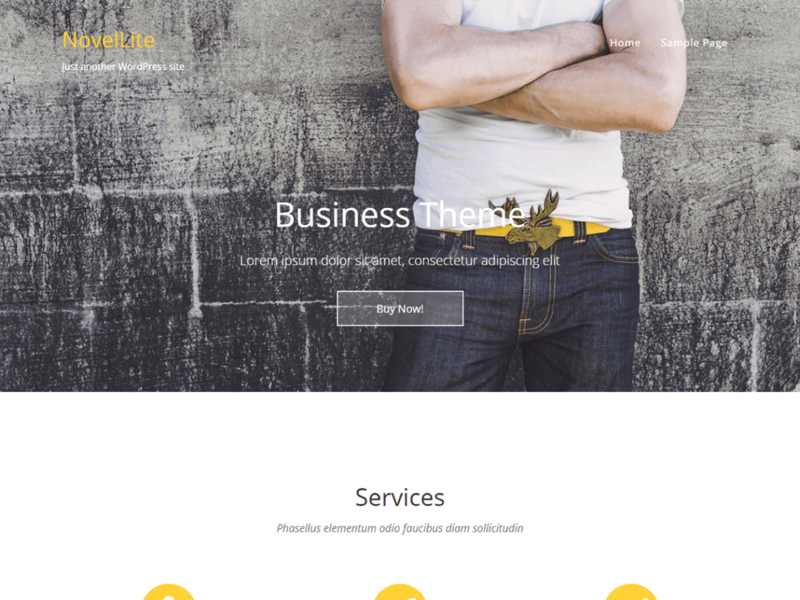 Gaga Lite is a brilliant landing page WordPress theme. It offers an aesthetically beautiful theme layout along with lots of features and customization options. 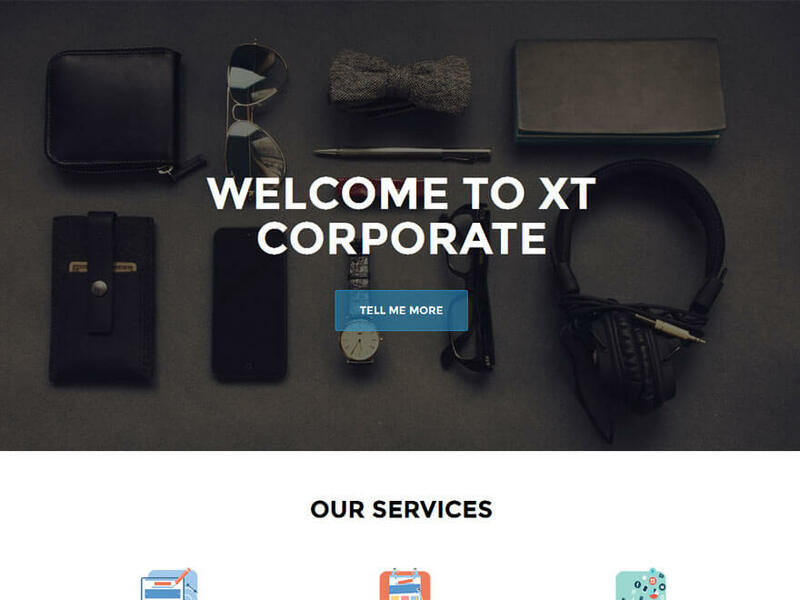 It is multipurpose one-page style theme for creating modern business websites as well as landing pages. Giving an introduction of your product with full-screen sliders and bold typography is probably the best way to present your product to the audience. The theme offers you multiple places and styles to add a call to action (CTA) buttons which is one of the core elements of a landing page. 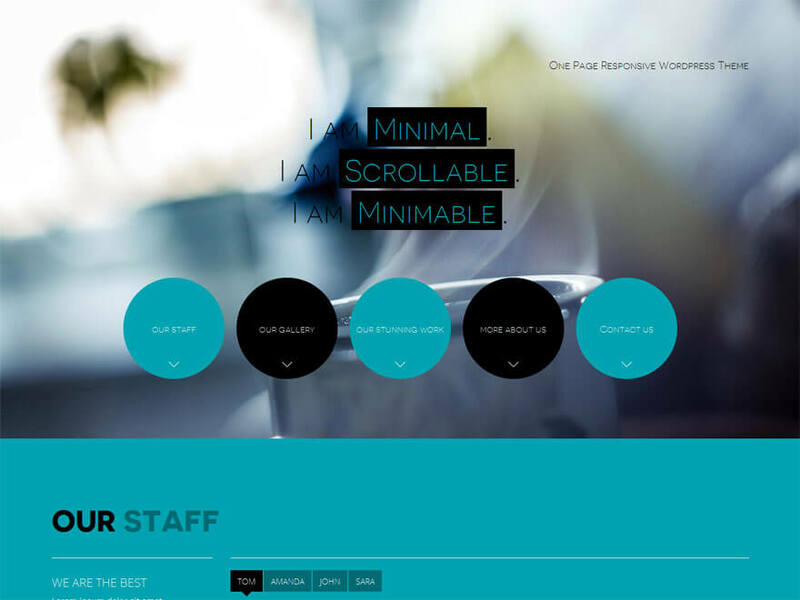 Screenr is a clean and bold free WordPress theme with a full screen parallax design. 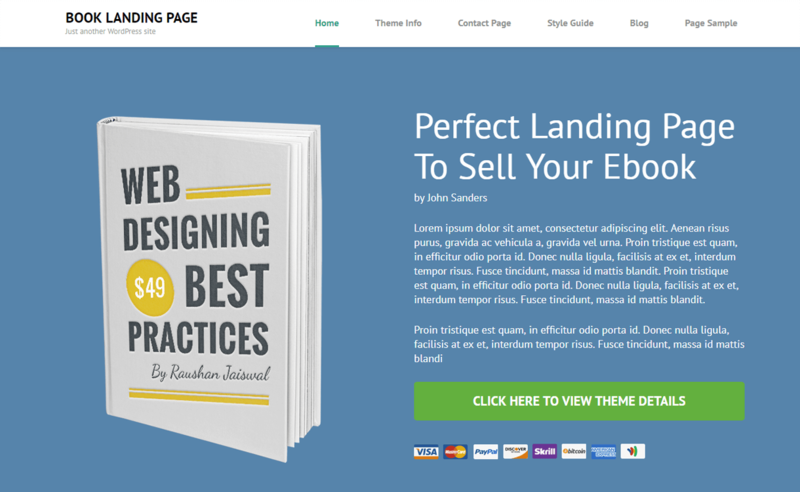 It is a multi-use theme, however, looks great for creating a landing page. The theme comprises well-designed sections arranged perfectly on the homepage. You can enable, disable and manage the sections as per your requirement. Moreover, it is parallax and video lightbox perfected in order to give the best user experience and earn extreme satisfaction. 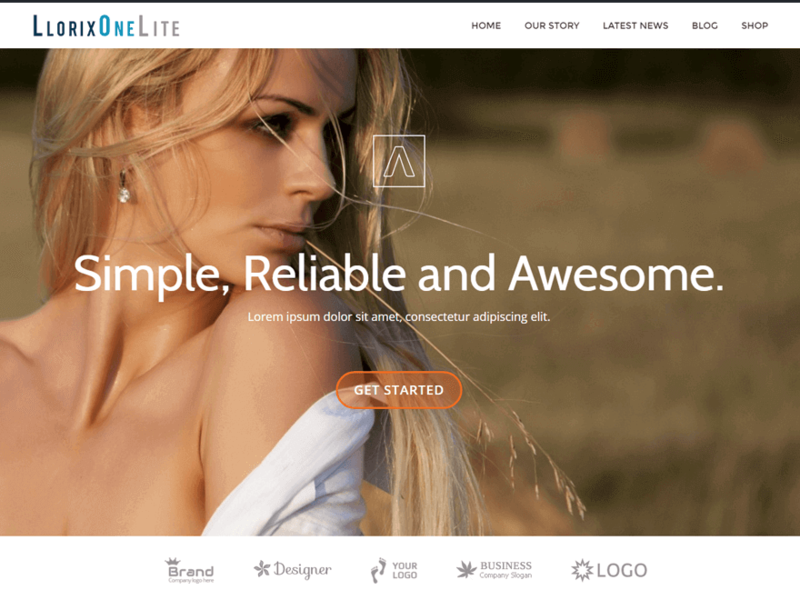 Llorix One Lite is a simple yet powerful free WordPress theme which lets you create a modern website in no time. The theme homepage comes with some beautiful sections with parallax scrolling background. It allows you to add an appealing call to action button in the very first section followed by your services, our stories, latest news, testimonials and Google maps on the home page. This theme lets you add contact pages, blog, shop etc. It is a fully responsive theme which looks great on all devices. 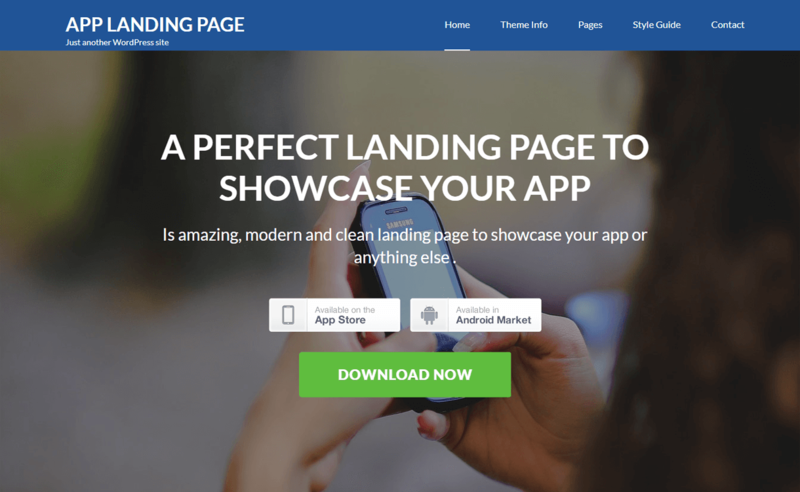 App Landing Page is an amazing landing page WordPress theme that comes with powerful and useful features. This theme is easy to use and do not require any technical knowledge to install this theme. The homepage is designed beautifully that helps to attract the eye of many visitors to your site. Also, it includes a detailed documentation where you can find step by step guideline to use the theme. Lawyer Landing Page is a modern and clean landing page WordPress theme which is perfect for lawyers and law firms to build stunning websites. This theme is mobile friendly that fits all the screen sizes. Apart from this, it displays the content on the devices nicely which makes the design of the site attractive and it directly helps to increase the number of the visitors to your site. 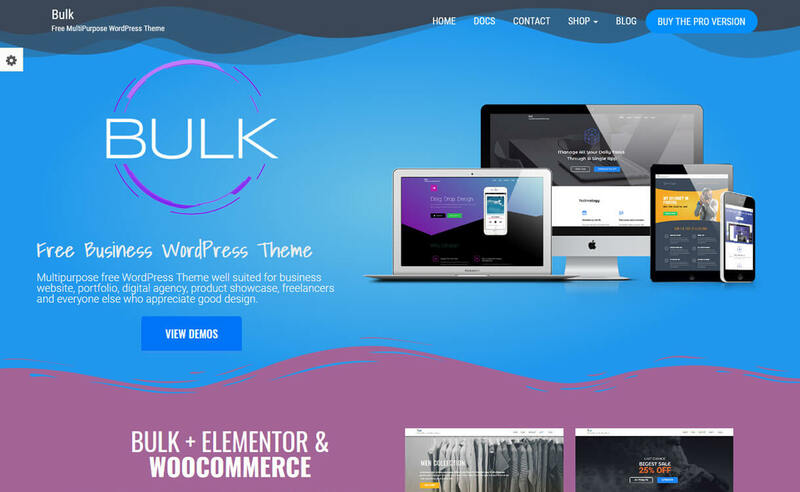 Bulk is a perfect multipurpose WordPress theme that is suitable for any kinds of business website. 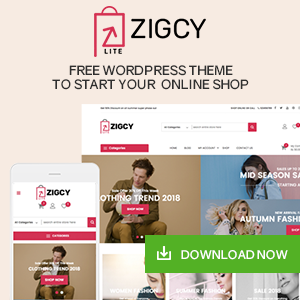 This theme comes with a WooCommerce support which helps to do an online business easily. It has a drag and drops page builder that lets you design the website the way you like, on any theme. The theme is fully translation ready so choose the language that you like on your site. Variant is an awesome landing page WordPress theme that collects the lead instantly and starts to sell your products. This theme includes a manageable five layouts from a single dashboard so choose the layout that you like. It has a powerful admin panel that helps to set up and customize the landing page without using any code. Perfectpage is a free landing page WordPress theme comes with many useful features that are easy to use. This theme is compatible with the entire browsers that look equally well on all the devices. It comes with a lifetime supports and a regular product updates. 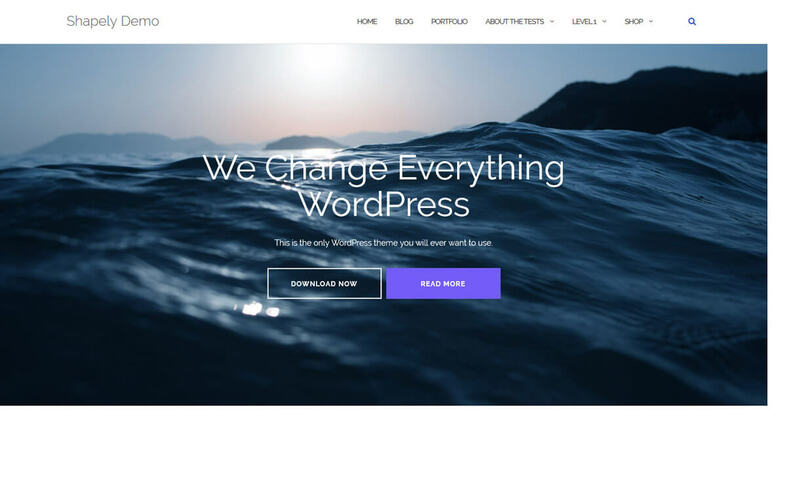 Shapely is a simple and clean free versatile landing page WordPress theme that is suitable for almost all types of sites. This theme includes lots of customization options that help to make the site of your choice. The theme is retina ready which makes your site look stunning form all the side. This one-page layout design is perfect for any types of business, portfolio, corporate and freelancer based websites. Ascendant is a free multipurpose WordPress theme that is ideal for building different types of websites. This theme comes with many powerful features which makes your site an advanced one and catches the eye of the visitors easily. Also, the theme is translation ready where you can use any language of your choice on the site. The theme is compatible with WooCommerce plugin that helps to do an online business. Flash is an outstanding free multipurpose WordPress theme that is built with advanced features. This theme comes with a drag and drop page builder feature which integrates beautifully with the free plugin SiteOrigin page builder. It includes many advanced options to choose the color that suits your site perfectly well. The Google map is also available with this theme that makes your visitors easy to find your location. Book Landing Page is an awesome free landing page WordPress theme that comes in different shapes and sizes. The homepage of this theme is designed beautifully to increase leads and purchase of the book. With the help of this theme you can, you can launch your book in less than 10 minutes and market your book easily. Also, it is a translation ready theme so you can choose the language of your choice on your site. 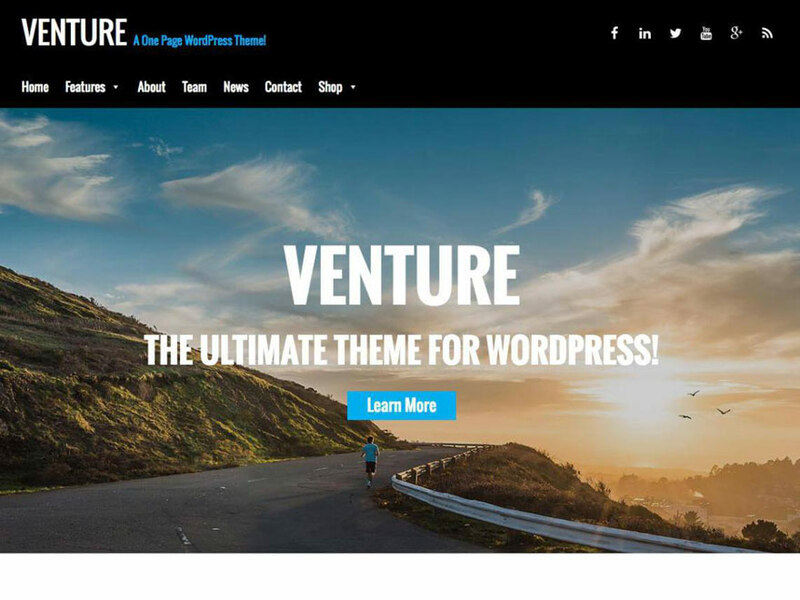 Venture Lite is a free responsive WordPress theme built in with Bootstrap framework. 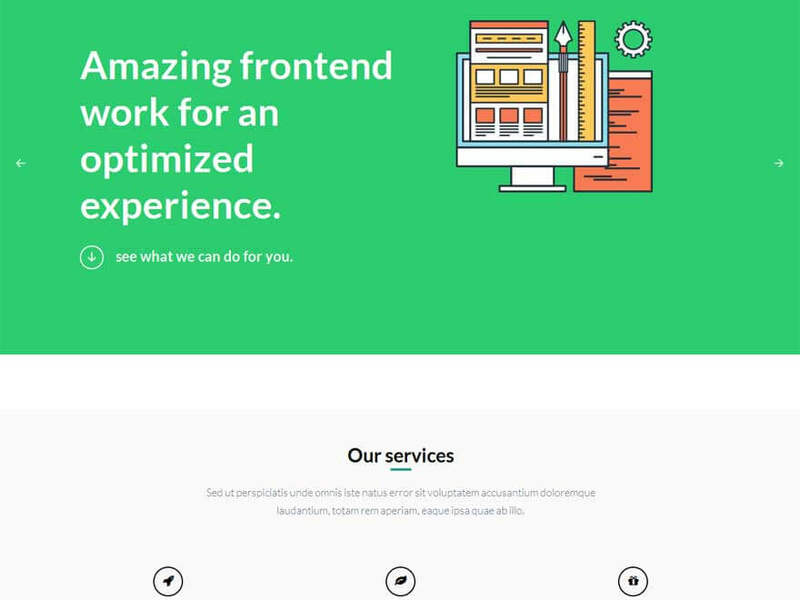 The theme offers a graceful one-page design with awesome parallax scrolling effect. You can create click-through landing page using this theme with CTA at the beginning with a full-page image background. It features unique layouts for about, team, news, testimonial, social media profiles etc. The theme has multiple places and ways to call the users take action – lean more, buy the product etc. It integrates contact forms. 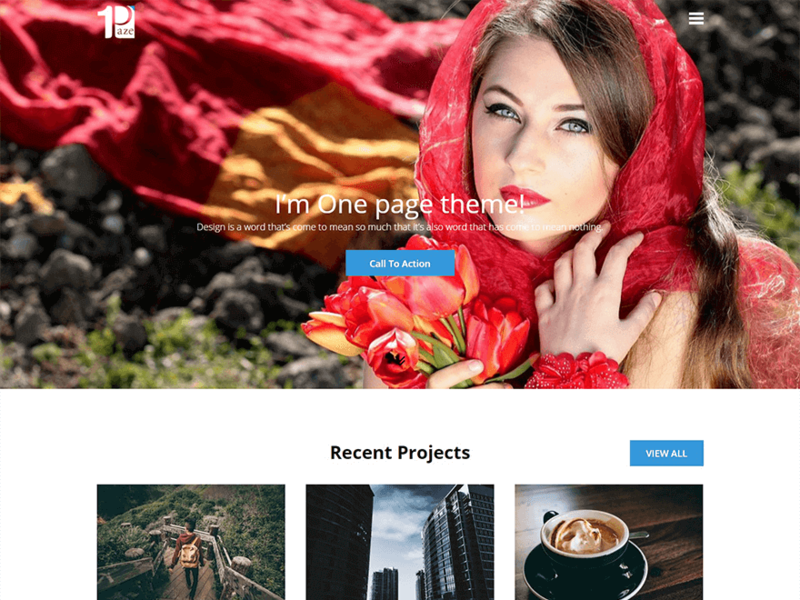 One Paze is a trendy single page-style theme for WordPress. The theme offers a full fledge responsive design which is ideal for creating a perfect landing page. Custom logo, sticky menu and a full-screen image background with an enticing CTA is a perfect website design at first look. 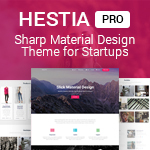 It offers stylish layouts featuring your projects, services, blogs, team, testimonial etc. The theme offers multiple places to display CTA buttons and ask users take action. It integrates contact forms, Google map, and social media icons. 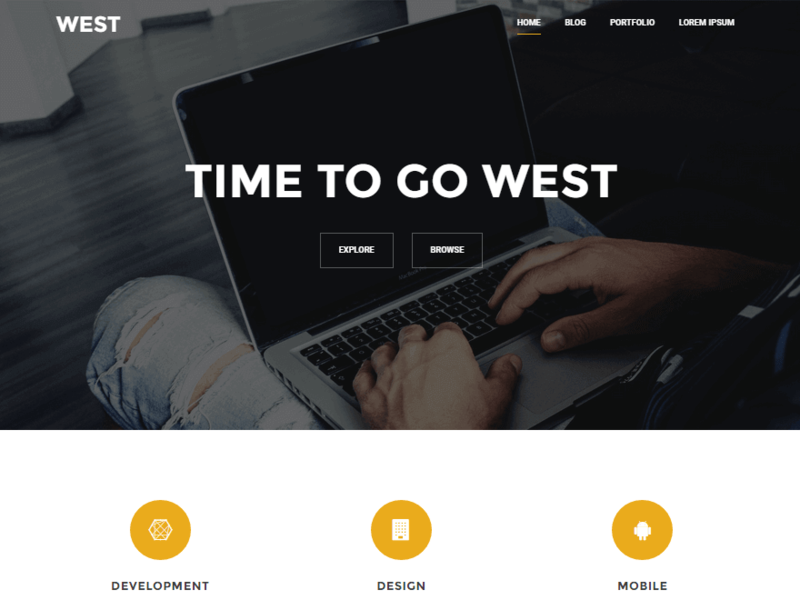 West is a feature-rich WP theme specialized for creating landing page websites. You can create an alluring page for your latest product using this theme which can improve your site conversions. The theme offers a beautiful single page website layout with plenty of options to showcase your product in an attractive manner. It features beautiful layouts for about, team, our projects, blog, CTA, social media icons, etc. In addition to that, it has an option to add a blog page where you can share your interesting stories, news, and articles about the product. 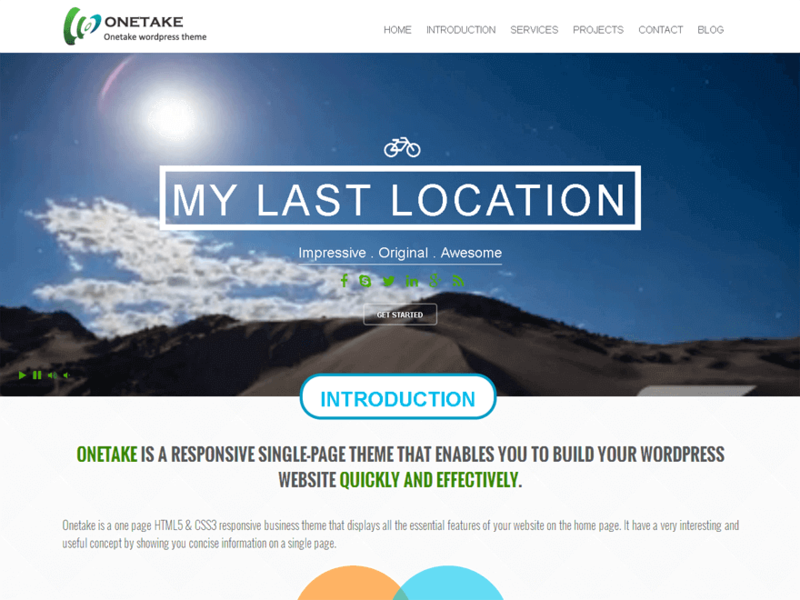 OneTake is an excellent WordPress landing page theme perfect for your product promotion. It is an extremely flexible theme that offers advanced styling customization features with limitless possibilities. This single page theme is based on Bootstrap 3 and powered with Font Awesome 4. It allows you to add a full-screen video or awesome sliders as background. Besides, it enables you to make easy and quick changes like customize frontpage layout, change color, order sections, etc. right from the theme options panel. 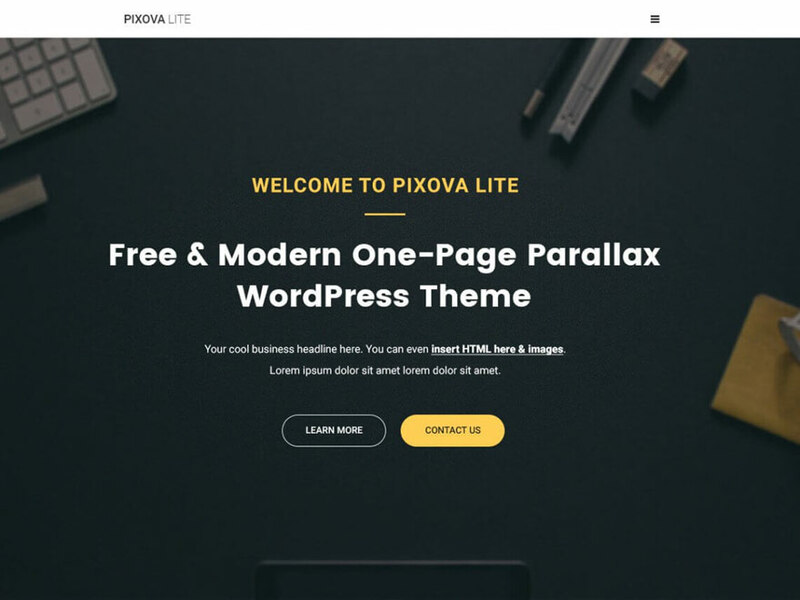 Pixova Lite is an excellent free one-page style WordPress theme, which can help you build a professional website and to create a strong online presence. It is ideal for promoting your product online in an effective way. With this theme, you can add animated video backgrounds and a number of ways to display your work online. Pixova Lite features sticky menu, about section, recent works, and portfolio, testimonials, pricing, latest news, contact, team, location etc. each in a stylish layout. The theme lets you add the sections in the footer area along with social icons. OnePress is a single page theme suitable for creating a landing page for various industries/ niches. It offers a fast loading and clean theme layout with which you can create a highly professional website. The theme integrates the cutting edge WordPress technology to provide you the latest features. 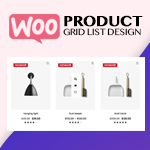 It is built in with WooCommerce plugin so as to let you create a shop page on your site and start selling your product online. It is a highly flexible theme that lets you customize most of the parts. 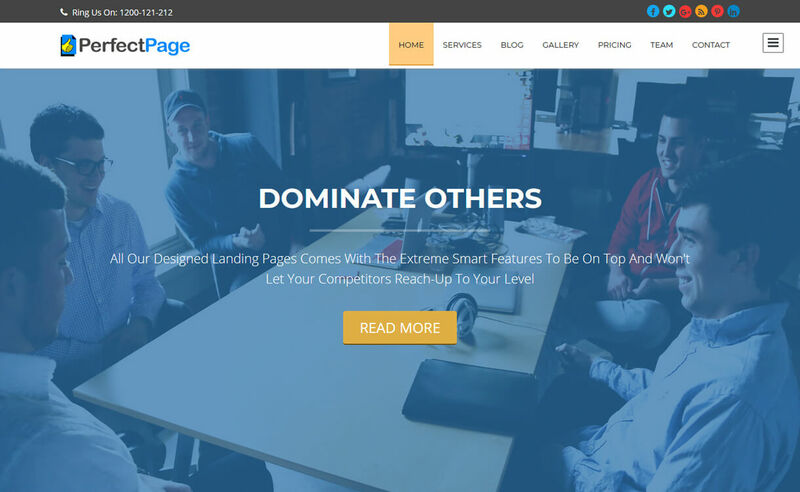 OneEngine is an amazing landing page theme with plenty of customization options. It offers a modern and trendy design which is perfect for promoting your product online. It features various homepage sections like our services, about, skills, team, portfolio, blog contact etc. Each of the sections is beautifully crafted with love and care. You can also add videos to engage more visitors on your site. Minimable is minimal – no fluff and clutter. It is Bootstrap based fully responsive and scrollable theme for WordPress. The theme uses Superscrollorama jQuery plugin for the great scrolling effects on your website. It is retina ready theme that looks great on all type of screens. Minimable is basically a one-page style theme with various sections at homepage while it lets you add a beautiful blog page where you can share your articles and latest updates. XT Corporate Lite is easy to install and use that is designed for the beginners. It is fully responsive Bootstrap based one-page theme best suited for business landing pages. It offers you 5 pre-built skins with the different color. You can pick any of the skins that suit your business. You can further customize the theme colors unlimited right from the WordPress Live Customizer. The theme is optimized for SEO and speed. 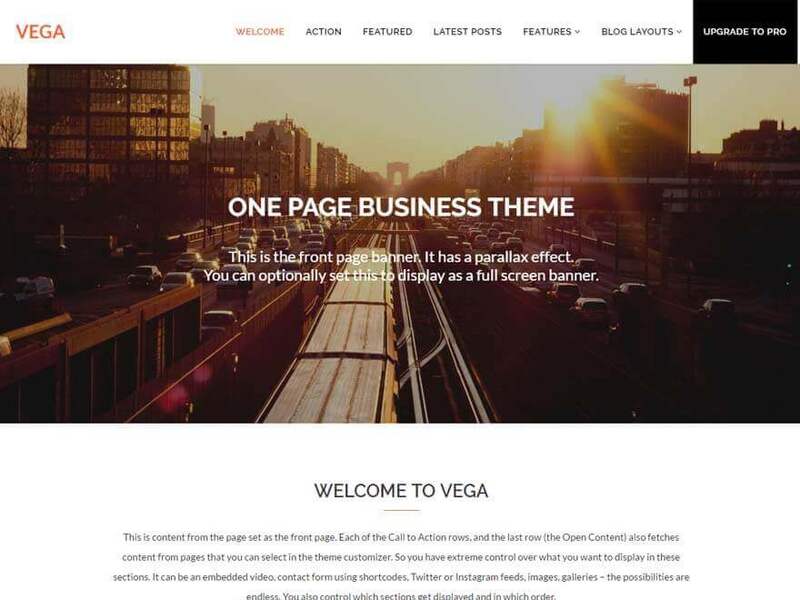 Vega is a minimal free WordPress theme with awesome parallax effect. It presents an example of amazing parallax scrolling effect. It offers you three inbuilt color choices: green, blue and orange. Besides, you can choose from the front page with image banner or front page with full-screen image banner, a page with sidebars or full-width page with no sidebars, posts with sidebar or no sidebars and one from the three blog layouts. It is a fluid responsive theme that looks great on all devices including desktops, tablets, Smartphones or mobile phones. 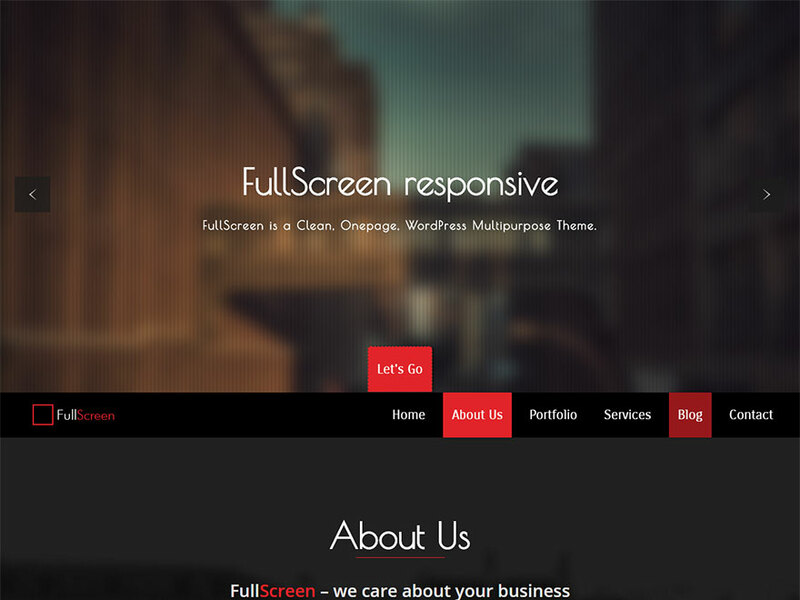 FullScreen Lite is a feature-rich free WordPress theme perfect for creating an attractive landing page. It is powered with HTML5/CSS3 which has made it a super fine and fast loading theme. The theme is flexible enough to shape it as per your need. In addition, it comes with advanced admin panel and countless customization options. Fullscreen slider, modular homepage, layout shortcode, useful sections, etc. are included in this theme – which gives a professional outlook to work. NovelLite is a clean and minimal WordPress theme powered by quality landing page features. The theme is optimized for all the way to make your work easier and faster than ever. It is fully based on live customizer which enables you to make easy changes and preview them instantly. It allows you to upload images, change colors, add headings and details, orders sections and much more. For more functionalities, you can use widgets of your choice as it offers six widget areas. 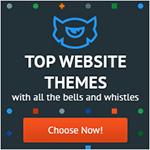 These themes are the perfect options to choose from. 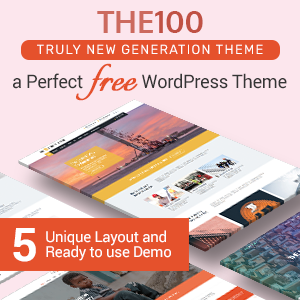 Very less free themes offer such competitive design, tons of options and incredible expert support. Grab anyone and start promoting your products -drive huge traffic and generate leads. You would surely find it work worthy. Did I miss to mention any good one? If yes, please suggest me, I would love to mention it in my list. If you are already using any of above mentioned theme, feel free to share your experience so that others can have more idea about it. You can also have a look at the collection of best responsive WordPress theme for various purposes. 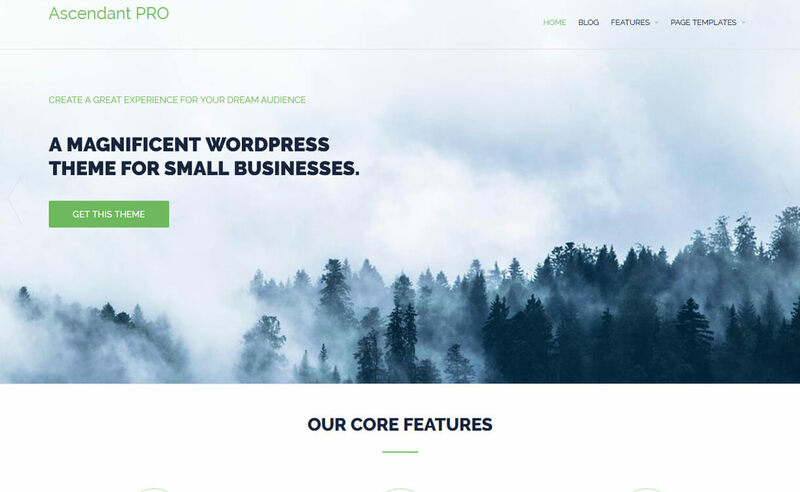 Hey Buddy!, I found this information for you: "30+ Best Free WordPress Landing Page Themes and Templates 2019". Here is the website link: https://wpallclub.com/free-wordpress-landing-page-themes-templates/. Thank you.